Geothermal energy comes from very hot rocks and water bodies underground. Heat can be extracted and converted to electricity in a power plant or used directly to heat buildings or for industrial processes. Geothermal energy is still relatively unexplored in Victoria, so more detailed analysis is required to specifically identify the different types of geothermal development potential. Geothermal energy typically uses either naturally occurring hot water (hot sedimentary aquifer) or the generation of super-heated water or steam from circulating fluid through hot rocks. The technology behind the power plants at the surface is well established. But the method of transporting the heat from deep underground to the surface varies significantly by location. Areas in the USA, Iceland, Italy, New Zealand and Japan use significant amounts of geothermal energy. The majority of this generation is easily sourced from hot springs associated with volcanic activity. Australia appears to have an abundance of high-heat producing basement rocks buried beneath sediments. However, the technology for accessing this type of geothermal energy is less developed. Geothermal energy is an emerging technology in Australia. There are several developers working towards large scale plants using both hot rock and hot aquifer resources. 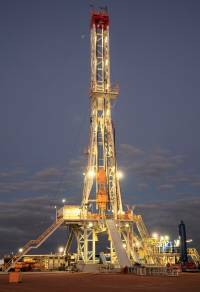 In Victoria, geothermal exploration has begun in the Otway Basin. Geothermal energy is used on a small scale by the Deep Blue Hotel Resort in Warrnambool that uses hot mineral water from a 770 metre deep bore for all its space heating, domestic hot water and for a pool and spa complex. Information about Victoria's geothermal resources is limited and because the resource is found deep underground, exploration can be an expensive and the process difficult to carry out. More work is also needed to determine how to consistently and efficiently transfer heat from hot dry rocks and hot aquifer rocks. But if successful methods are demonstrated, they could become a substantial source of base load, or consistent, power from a renewable resource.